So, what is this exactly? Looks pretty cool. WOW! Great photo of the new Birds set given to employees (I think for the 2015 Christmas season.) This looks like a very nice build. Great to see another set with birds as they make such fantastic builds. 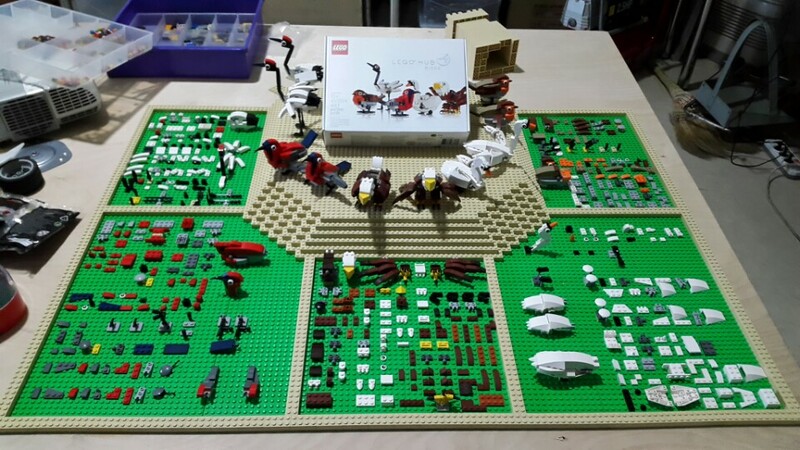 Maybe someone can link us to the LEGO instructions for this set. This is a set I'd love to have the instructions for - do you have them or know anyone who does? @MorkMan Sorry, but I have neither the instructions NOR the set! Still trying to buy it, though! Will holler if I see them floating around. (None of the LEGO employees I know will part with this one, not for the lack of effort on my part for sure!) If anyone wants to sell a used one or even a BL model of it, count me in. I've seen instructions online for this. They're around. Bricklink has a complete inventory. As for the instructions, the best method is using the video referenced in this thread. Bricklinking the models is not difficult--I did it for less than $90, as I recall--but of course part of the charm of the set is the material that came with it. I'm not surprised it's so seldom available--out of all the employees' specials or Inside Tour sets, this is by far my favorite. I'm going to use that video when I get time to LDD it. Thanks for the help everyone. So sad that they don't release the employee holiday sets a year later to keep prices down a bit for the rest of us. I can see never releasing the LIT sets, but would love to own the 2014 holiday birds. In Mecabricks, you can click the option to open in the Editor and explore the set that way. I tried to be good about grouping logical pieces together. If you just want to view it, it is also available on the official set page for #4002014.